Order in the next 9 hours 39 minutes for delivery on Tuesday, April 30. For engraving, order in the next 8 hours 40 minutes for delivery on Tuesday, April 30. The Eternal five-stone diamond ring is just that, a timeless design that symbolizes a lasting love. Five round brilliant-cut diamonds weighing approximately 1-carat total weight sit securely in shared prongs spanning about 3/4-inch across the top of the ring. 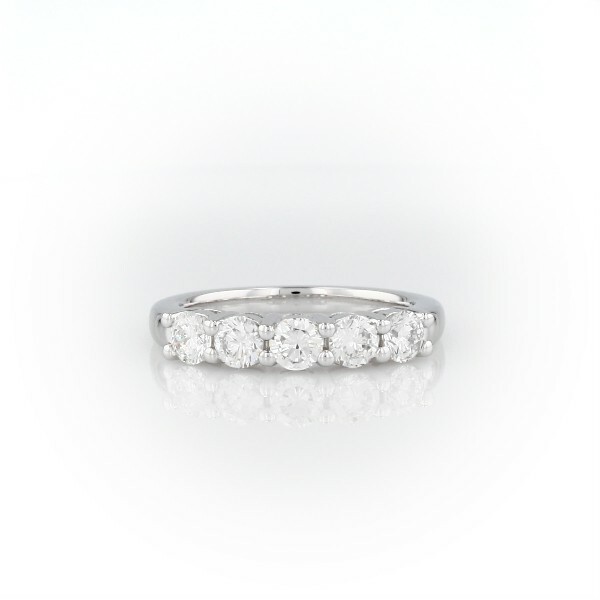 This enduring platinum five-stone ring style is an incredibly wearable essential.